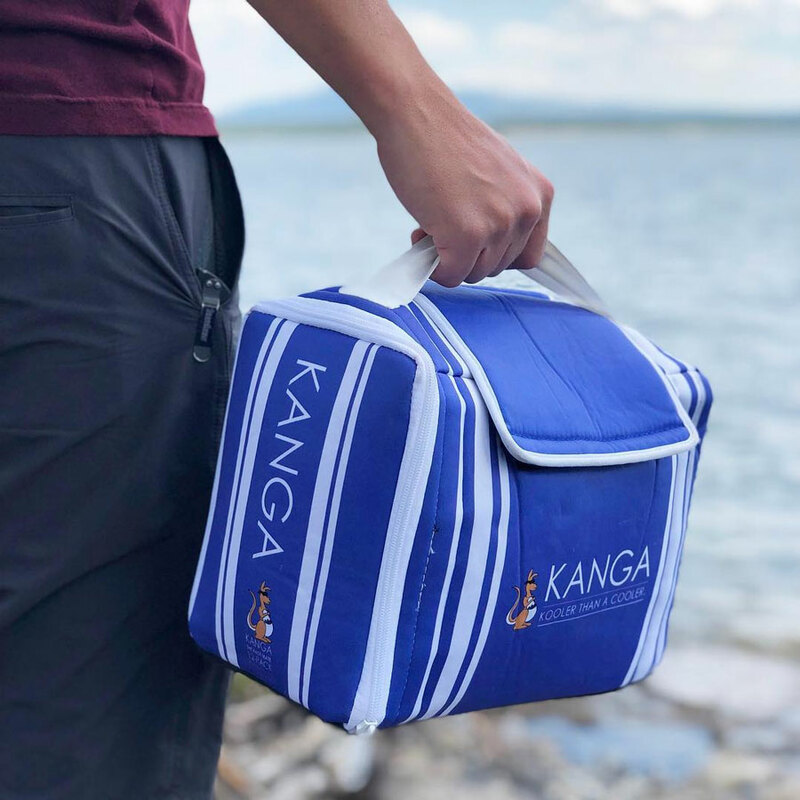 Think of the Kanga Kase Mate as a koozie cooler for your cans. Shouldn't be too hard to remember with all the kitschy kuh sounds. 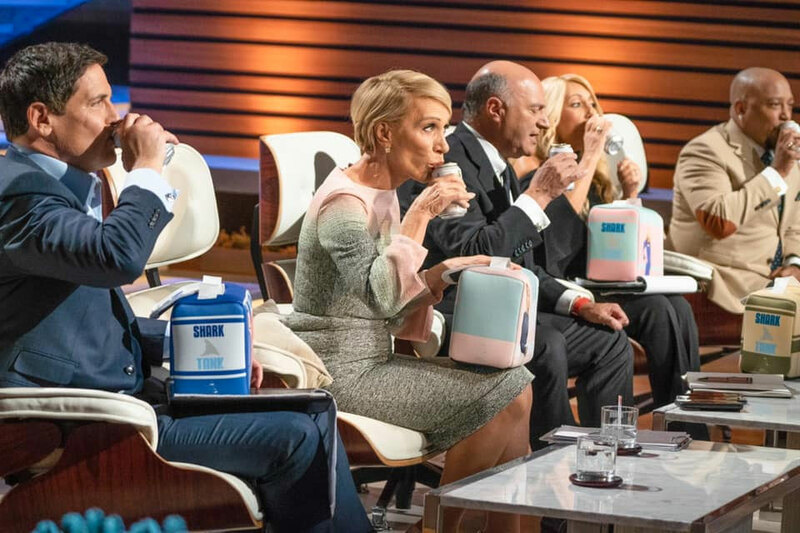 But if you need more help, maybe the photo of Shark Tank Shark Barbara Corcoran taking a drink of cold beer straight from a Kase Mate with her pinky finger out and a face that suggests she'd about as much like to sip motor oil will cap off the imprint. In the end it was Mark Cuban who backed the Kase Mate, an iceless cooler designed to hold any standard 12- or 24-pack of beer. The Kase Mate doesn't chill drinks but, like a koozie, keeps temperature-ready cases from the fridge cold while you drink through them. As a soft, fitted, coolie-style sleeve rather than a giant, cumbersome rectangular box, the Kase Mate is significantly smaller and lighter than a cooler. The 5 college buddies who designed it did so because: 1) they were assigned a class project to create an idea that solved a problem they faced; and 2) they were tired of drinking cold convenience store beer that got warm in 15 minutes at their tailgates when they didn't feel like lugging a 65-pound cooler a mile from their parking spot to the party. The Kase Mate is made with 3 layers of insulation that will keep your drinks cold for up to 7 hours. That at a carry weight of over 45 pounds less than a packed standard cooler - all you're really carrying here is the weight of your beer. 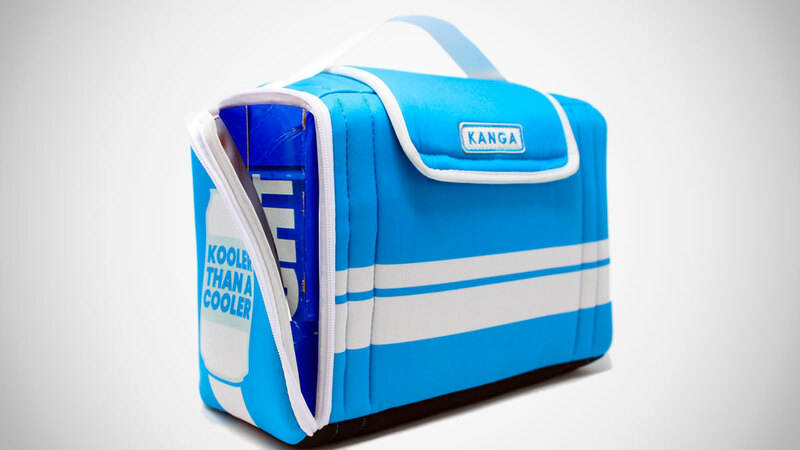 Kase Mate iceless coolers are available in 12- or 24-pack sizes, and several different designs.